A young lady came in and stopped in front of a display near the entrance. In the middle of a grouping of plaques, Psalm 23, was printed in elegant calligraphy on pale green parchment-style paper, with a beautiful, ornate frame. She stood there several minutes, then left. She returned a few minutes later, and stood there again for several minutes. I walked over to offer to help, and noticed her wipe away some tears. I asked if there was anything I could do to help. She turned her face toward me. She was stunningly beautiful, in spite of a long scar down her right cheek. With evident sorrow in her voice, she simply said, “no.” She stood before the Psalm for another minute or so, then left. Then there was the young man who applied for a job (I’ll call him Joe). 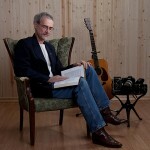 As I interviewed him, I pointed out that we sometimes had people who came in wanting to talk about the Lord. Sometimes they had questions. Sometimes they sought advice on a Bible. I asked if he felt he could answer those questions. He began asking questions himself. Before the interview was over, he had asked Jesus into his heart. Dave (not his real name) was a teenager from Chicago. He was staying with his cousins. They attended the same church we did. Trish and I were working with the youth, and had met him there. Dave had a lot of hurts covered by a pretty tough shell. He came into the store one day and was looking through the records. [If you’re not familiar with records, they’re kind of like prehistoric cds.] He said, “There’s no Christian rock music that sounds as good as the stuff I listen to.” I gave him an album by the group “Resurrection Band” and challenged him to give it a listen. The Love Shop chain was purchased by a group of investors in Ft. Worth. I was working in the corporate office when my boss told me the franchisees wanted to sell the store I had managed. He asked if I’d be interested. You bet I would. We looked into it. We looked at the financial statements. The stores showed a profit. I was young and naive. I didn’t know you could show a profit on paper, and still be totally insolvent. The corporate accountant for the home office told me, “If anyone can make them work, you can.” Turned out, no one could. We bought them by assuming the previous franchisee’s debt, and watched them crumble around us over the next 14 months. I was pretty much crushed. I had invested over five years into a concept I really believed in. In addition, I had visions of owning several Love Shops. I was going to be making enough money to start a ministry to street people – addicts and prostitutes. There were lots of street ministries around, leading people to the Lord. But no one was discipling them. The churches either didn’t know what to do with them, or didn’t want anything to do with them. We would give them a safe place to live away from the streets, pimps, and connections. We would provide discipleship, counseling, milieu therapy, job training. This was a tough one to bounce back from. It was a few years after my divorce. Trish & I were married and had three children. I took a job as janitor at our church, and proceeded to rethink my life. This was the season when I’d drive down the road, see a dip sign, and felt like it was announcing my presence. It was also a season of soul searching, Bible study, and prayer. It was the beginning of my understanding that when our world is shaken, and everything we are holding onto crumbles, the eternal still stands. There is always One who never leaves us or forsakes us. He is faithful. Has there been a time in your life when your hopes and dreams turned to ashes and slipped away? What happened? How did you recover? Have you recovered? The phone rings. It gradually pulls me from a sound sleep. I roll over and raise my eyes enough to see the clock. 2:52 a.m. Family? Something wrong with Mom or Dad? A week earlier. A different phone call. Henry called and said he really needed to talk. He asked if he and his wife could come over. I made it a policy to not have clients from the drug treatment center in my home. There were very few exceptions. That night, I made one for Henry. Henry had been doing well on the program, I thought, but was in a car accident and wound up in the hospital for a few days. When the doctors found out he was on methadone, as treatment for heroin addiction, they would not give him any morphine based pain killers. In fact, the pain killer they gave him was known to be an antagonist to morphine and should have thrown him into withdrawals. It didn’t happen, and it got his attention. Henry knew in his heart that something unusual was happening. He wasn’t sure what, or whether it was good or bad. Frankly, it scared him. One of the nurses at the hospital was “different.” He asked her, and found out she was a Christian. He shared his fears with her and began crying as he did. He wasn’t sure why he cried, but he did. She talked with him awhile and comforted and encouraged him. All of this was very strange to Henry. Right after he got out of the hospital is when he called and asked if he could talk with me. When he and his wife came over, he opened up. He shared his story about the accident and how he wound up in the hospital. He revealed, too, that he had been beating the system at the treatment center. Although we thought he had been staying “clean,” he was using about $200 of “street dope” a day on top of his 50 mg of methadone. He really should have gone into withdrawals in the hospital, with or without the antagonistic drug. Change can be scary. Perhaps the biggest challenge to change is fear. We settle deep into our present misery and become comfortable there. No matter how promising the hope of future good, we’re afraid to let go of the only thing we’ve ever known. To venture out, even for the relief and peace and joy for which we’ve always longed, is just too risky. What if someone let’s me down again? What if I fail again? I just couldn’t handle another disappointment. That’s kind of what I was referring to in an earlier post when I talked about feeling beat up by life. After getting slapped down a few times, you just are afraid to get up anymore. The past few days, I’ve been trying to set the stage for this blog. Life is full of both good and bad. Most of us know that. Eventually we even come to accept it. Victory comes when we not only accept it, but embrace it. This blog is about embracing it. It’s about why we should embrace both the good and the bad. It’s about how to. It deals with matters of faith. It deals with learning to be thankful. However, what I hope really makes it unique is not just saying, “thanks.” I am on a journey to embrace Extreme Gratitude. Come along. Join the conversation. Join the journey. Are you at a place where you know you need to make some changes? What needs to be different? Would you share a time when you knew you needed to change and hesitated taking that first step. What happened? But You Don’t Know What I’ve Been Through! Sometimes life can really knock you around. It might have been physical bullying by someone, but not necessarily. Have you ever been through situations that left you feeling like you were just beaten up by life itself? I have. 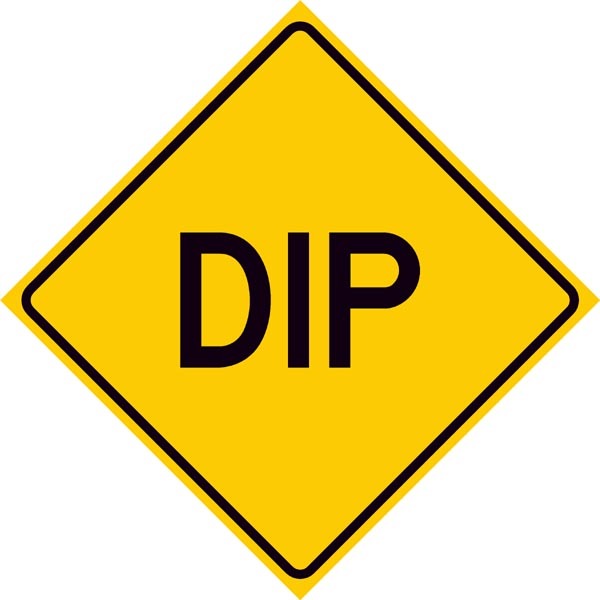 There was a season when I even took “dip” signs personally. While I was in seminary, I took a full-time job as a counselor for narcotics addicts. That was an eye-opening experience for this naive, church kid from suburbia. I saw a whole new subculture. There was a depth of hurt and despair I had never seen before. Well, maybe I had, but just never really comprehended it. At the same time my eyes were being opened, I was able to show my clients a level of care and compassion they had not experienced before. Unfortunately, most of them couldn’t comprehend it. A few of them got it, though. Very few ever moved to the point of really being willing to change. But some understood enough to be willing to open up, become vulnerable, share at a deeper level, listen, and be helped. It was kind of an epiphany for both of us. He realized people could actually go through a crisis in their lives, something very painful, and deal with it without drugs. And, I found the common ground I had with my clients. There really are a limited number of emotions available to any of us. We all have the same set of emotions with which to respond. That’s not what makes us different. That’s where we can relate. The difference is the outside stimulus. It could be divorce, an abusive parent or spouse, death of a loved one, bullying, failure, a rebellious child, a miscarriage, cancer or some other illness. Whatever it is, we only have that limited set of emotions with which to respond. The difference is how we choose to respond. Or, maybe more accurately, how we have learned to respond. Through it all, I’ve learned God is faithful. He never leaves us or forsakes us. I’ve learned I’m not a dip. I’m His child. His heir. He really loves me. And even if I’m a nobody, I’m no less than anyone else. And, I’ve learned to be thankful – and that’s what this blog is mostly about. How about you? Have you ever had a time when life seemed to just trample right over you? How did you feel? How did you deal with it? What did you learn? What do you have to be thankful for? Have you ever been sure of something, but then, it didn’t happen like you thought? You were just sure he’d ask you to the prom. He didn’t. You were sure your team would beat your rival school from across town. They won. You were sure you’d get that key promotion. It went to the new guy. You were sure he was the man of your dreams. The marriage ended in divorce. In high school ROTC, we had inspection every Friday during class. Best-Dressed competition was voluntary. You arrived an hour before school started for an intense inspection. Uniforms were checked down to the minutest detail. Creases had to be perfect, and shirts wrinkle free. Ribbons were attached and patches sown the exact regulation distance from pockets or seams. Shoes shone like mirrors. Brass was polished to a perfect shine – no smudges, and no left over traces of Brasso Polish. The smallest “cable” (loose thread) was a demerit. You had to be able to answer any question over anything you had been taught regarding military science from chain of command, to weapons, to first aid…. I won. On awards day, I even received the Brigade’s highest honors, Senior Army Instructor’s Ribbon, the Military Excellence ribbon, and the District Army Instructor’s ribbon. Whoever won Best-Dressed their junior year, was a shoo-in for Lieutenant Colonel, Battalion Commander, as a senior. The winner of the Military Excellence award sometimes even made full Colonel, Brigade Commander, over all the schools in the district. Senior year came and promotions were announced. Battalion commander went to someone else. He hadn’t even placed 3rd in Best-dressed. Everyone was shocked. I was promoted to Major, S-2, third in command of the battalion. After class, I asked the instructor why. He said it went to the guy with the highest overall GPA. No one had ever said anything about that to us before. We thought it went to the guy who was the best in ROTC. I was disappointed. I didn’t let it bother me too much, though. 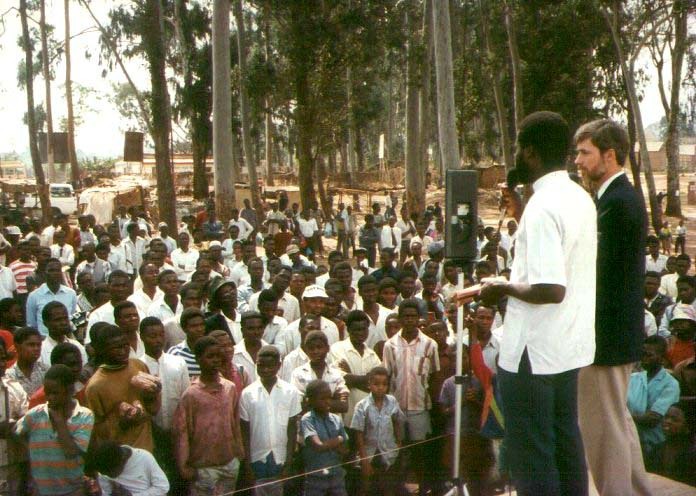 ROTC was something for high school, but as a youth, Africa seemed to be in my future. I was going to be a missionary. But, that’s a whole ‘nother plan. Over the next few posts, I’ll share some other unexpected turns in my life and look at how we can deal with those events in the light of God’s Word (if everything works according to plan). Sometimes things just don’t turn out the way we expect. It may be something simple. Or it may be something that seems to alter the course of our entire life. Can you relate? What plans have you had that didn’t work out the way you expected? Small or large, can you share a time when it seemed your best plans and dreams were ship-wrecked?